We’ve talked about how important it is to have a multilingual store if you want to reach a wider customer base, both at home and abroad. Today, we’re going to take a closer look at how to translate product descriptions. Your online store is booming and it’s time to get more customers abroad. 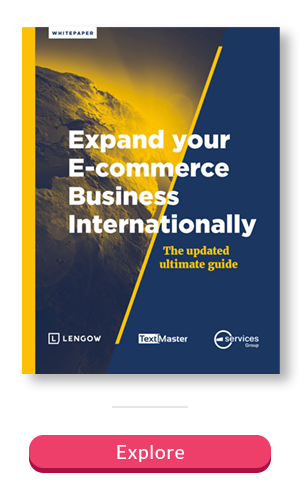 Whether you’re selling vintage t-shirts or garden gnomes, you know that it’s time to translate your ecommerce site. Today, there are over a dozen reasons to translate your corporate website: to boost sales, to reach new markets, to raise your credibility, etc. However, it’s important to create a multilingual site properly, without rushing into it, for risk of creating duplicate content, which is heavily penalized by Google.